Heat therapy has been clinically proven to relieve minor aches and pains. Scientists have shown that heat therapy actually increases blood circulation, helping muscles to relax and become less tight. 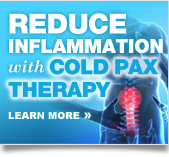 Jox™ Hot Pax™ have been carefully engineered to stay at a temperature of 115 degrees Fahrenheit for 8 hours – the perfect temperature to help reduce irritating lower back pain. Heat where you want it! Using a Jox™ Hot Pax™ with Jox™ Core Support shorts helps to direct heat therapy exactly where you need it – the L4/L5 area of the spine. This is the area of the spine that experiences the most wear and tear during movement and activity which can lead to lower back pain. 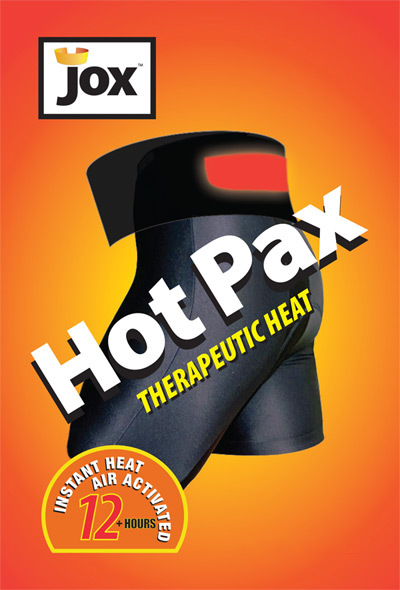 Unlike many flimsy products that constantly shift around, when you use a Jox™ Hot Pax™, it’s guaranteed to stay in place where you need it, providing 8 hours of continuous heat therapy. When heat therapy is combined with the compression of our Core Support System, it helps the heat to penetrate into the back even better. Heat therapy has been shown to increase flexibility, relax muscles and decrease stiffness. Even if you don’t suffer from lower back pain, you will find that using a Jox™ Hot Pax™ before any type of physical activity will help you loosen up and feel better. 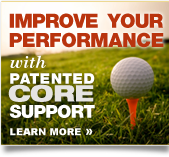 Use a Jox™ Hot Pax™ for 15-30 minutes before you work out, play golf, or do yardwork and you’ll be amazed at how it helps reduce tightness and increase flexibility.